For most JIRA Server users, an upgrade is a major activity that requires carefully planning. What is your upgrade plan? How will you prepare? How will you ensure success? How often will you upgrade? 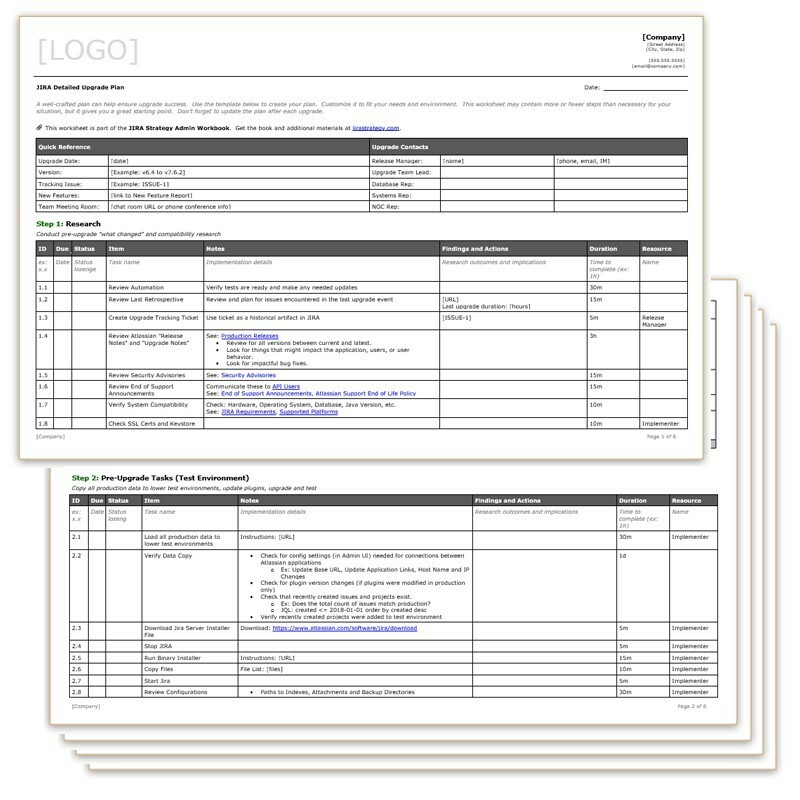 Use this template to create your plan. A well-crafted plan can help ensure upgrade success. 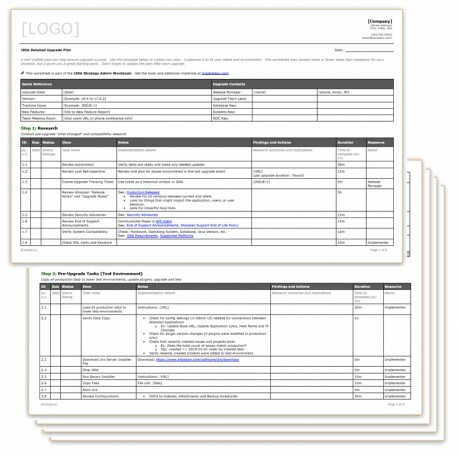 Use this template to create your plan. Customize it to fit your needs and environment. This worksheet may contain more or fewer steps than necessary for your situation, but it gives you a great starting point. Don’t forget to update the plan after each upgrade.